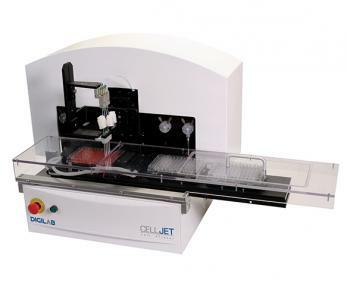 Need for High Throughput Sequencing, Genotyping, PCR or Taqman? 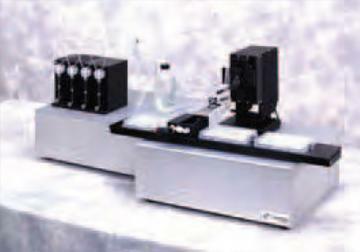 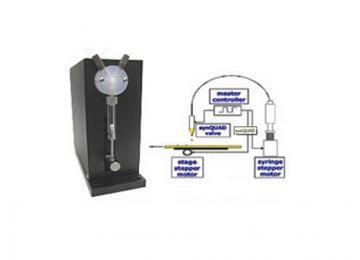 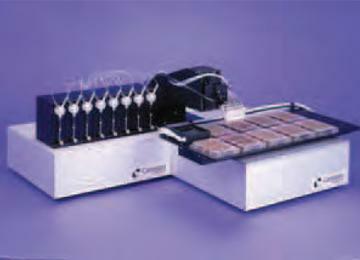 The proprietary synQUAD technology was developed for high speed dispensing. 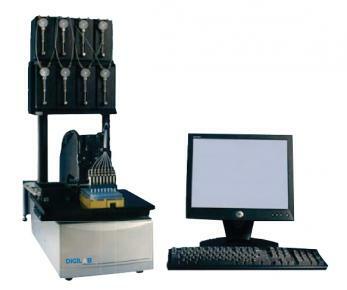 The technology involves the coupling of a highspeed microsolenoid valve with a high-resolution syringe pump and synchronization of the dispense system with the translation stage. 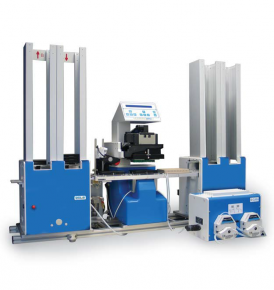 The result is an extremely fast dispensing system, which can deliver volumes from 20 nL to 20 μL with true "on the fly" dispensing. SynQUAD technology can work in either an aspirate/dispense configuration transferring limited volume samples such as live cells, enzymes, reagents, or proteins. 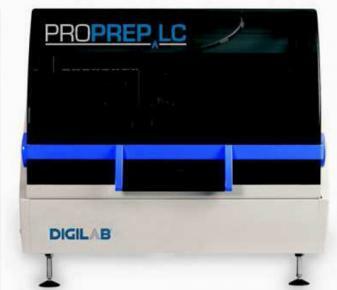 The patented synQUAD technology incorporated into the Digilab Dispensing systems is able to place 500 nL into 1536 wells in 20 seconds. 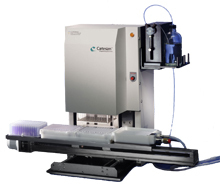 This revolutionary non-contact dispensingof drops on the fly is ideal for the most demanding HTS dispensing applications where high-speed and precise low volumes are required, or bulk dispense mode.